The Chaos is the sequel to Numbers , a thriller about a girl with the ability to see the date of a person's death. You can read my review here. "When he was a little boy, Adam learned about the numbers. The first ones he saw were Jem’s. That was how he knew she was going to die. Adam has more than inherited his mother's curse: When he looks in someone's eyes, he not only sees the date of their death...he feels the searing, shocking pain of it. Since Jem died, Adam has lived by the sea with his great-grandmother, Val. But when rising tides flood the coast, they return to London. The city is an alien, exciting, frightening place. Most disturbing of all, Adam can't help but clock how many people's numbers are in January 2027; how many are on New Year's Day. What chaos awaits the world? Can he and Sarah stop a catastrophe? Or are they, too, counted among the "twenty-sevens"?" But this is so weird, I've read both books a long time ago. Is that because it's from a UK writer or something, cause I have other covers too. 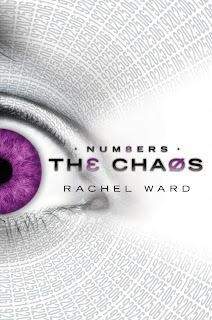 Oh my gosh, I just read Numbers and it was -so good-! Can't wait to read the second book. The set-up for Adam's story just tore at my heart.